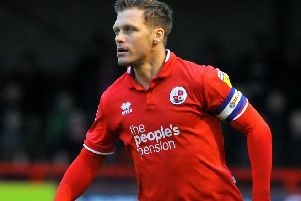 Crawley Town head coach Gabriele Cioffi believes his side showed the reaction he wanted following their 6-1 defeat at Crewe last weekend. 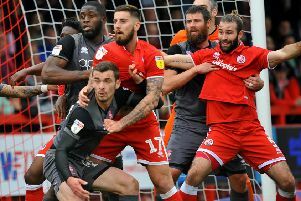 Despite losing 3-0 against the league leaders, Reds took the game to their opponents and threatened to score against Lincoln especially during the first half. It was an improvement to their performance last week during which they conceded four goals in seven minutes. He said: “The important thing for me was to step on the pitch with the right mentality after the crazy six minutes against Crewe Alexandra. “It was about the reaction of the boys, we reacted well, they were ready and they came to fight. “We have to give credit to Lincoln; there is a reason why they are top of the league and unbeaten in 16 games. “We were in the game, were on the front foot and matched them quite well in the first half. “Then we conceded a silly goal from a throw-in with all the bodies in the box and we can’t afford to do this against a team which is competing to be promoted. Cioffi believes the officials failed to spot an infringement ahead of the third goal which could have changed the margin of victory.